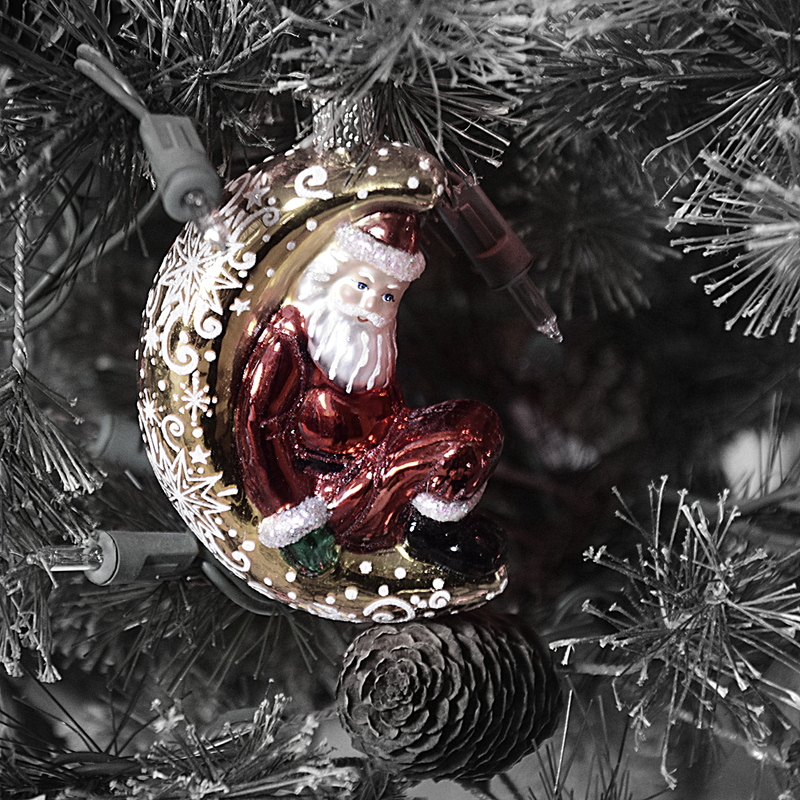 I’m a sucker for Santa and/or celestial ornaments. And why not – this particular one is a beauty. Is that an antique ornament? Beautiful picture! I’ve had it for a few years, so it’s more new, made to look old.